Considering all the death by dysentery and busted wagon axles it involved, it's tough to see how the classic Oregon Trail computer game could ever make life on the actual Oregon Trail look fun and appealing. 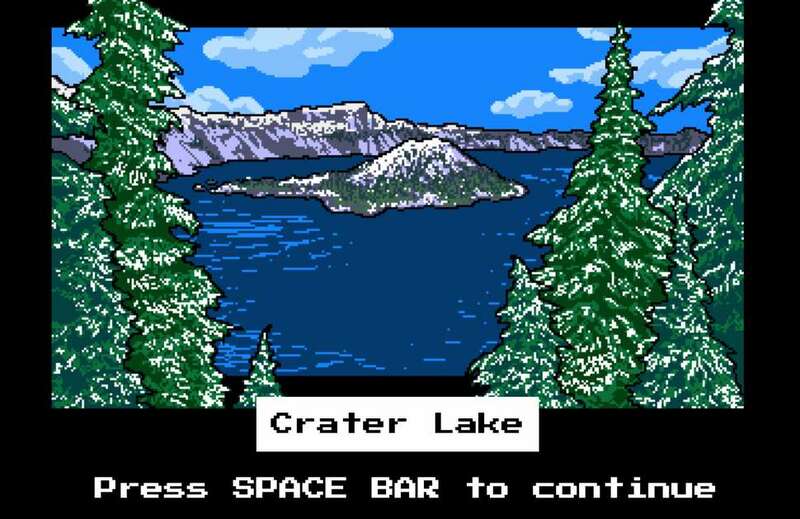 Yet, the state of Oregon is hoping nostalgia for the 8-bit educational game will indeed help convince you to explore its confines, because one of its official agencies just unleashed an updated and gratuitously hipster-centric version designed to promote local tourism. The game, Travel Oregon, was developed by the Oregon Tourism Commission and borrows a lot from the original's visual aesthetic. However, it swaps the storyline of a plague-prone trek westward for one in which you're virtually touring around and exploring the most beautiful and fun places in modern-day Oregon. 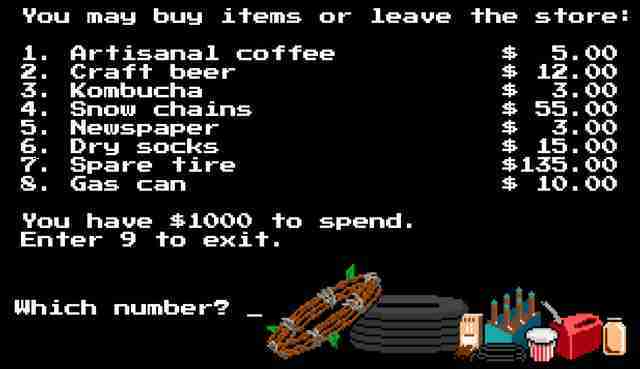 Similarly, rather than hitch a wagon ride with your family and stock up on bullets and clothes, in this version you're packed into a station wagon with friends stocked with beef jerky and artisanal coffee, and making pit stops at craft breweries. You also face down some hazards and trouble along the way, but rather than die of typhoid or accidentally killing off trusty Oxen, the threats posed by this journey are slightly less dire, and include things like having one of your passengers drink too much kombucha or a phone run out of charge. Like the original game, the new version could very well be addictive -- this is, if you can stop rolling your eyes at the hipster bait. In another nod to the original, you have the option to stop and look around in certain spots along the way. For instance, you might be asked by a local bar bouncer to help him check IDs on a busy night or go on an obstacle-packed ski run with a ski pro -- all of which involve little games played by answering questions or using the arrow keys. Of course, the Oregon Tourism Commission didn't go through the trouble of making this game without integrating easy ways for players to book trips to the state. In fact, at each spot along your virtual journey you're given the option to look into booking an actual getaway there, which redirects to a special Expedia page to help you do just that. 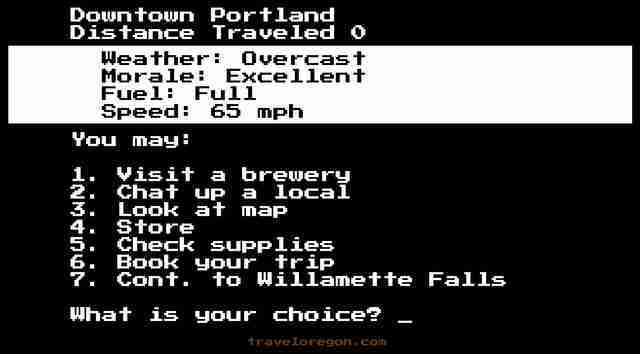 Just be prepared to spend some serious time getting acquainted with Travel Oregon, because much like the old-school version it was inspired by, you will easily get sucked into playing for way too long.